I started playing Blacklight Retribution when I saw it was free to play. 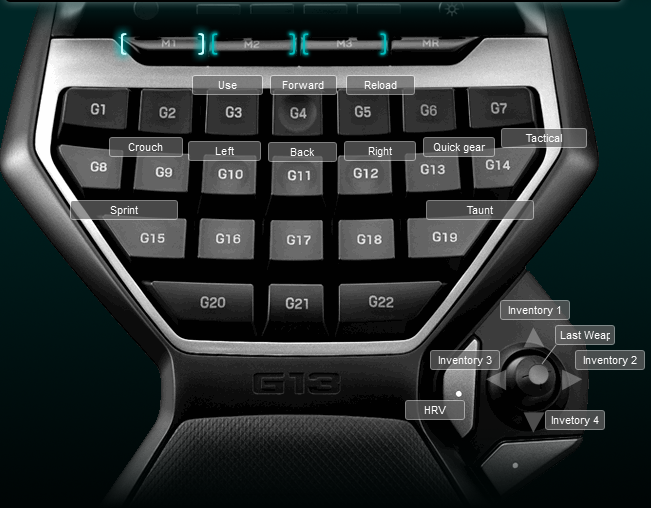 The game was a lot of fun, but I didn’t find a default Logitech G13 profile. I created it in order to take advantage of the keyboard in game making it easier to play. Below is a screenshot of my keyboard layout.